I made these sweet wheat pancakes just this morning. I had them for breakfast today. I have the sweet after-note of the Dabbroos still lingering on my tongue as I type this. This recipe is from Divya Sud’s “Flavours from the Kangra Valley. A nice selection of recipes from the book were featured in Dec’13 GoodFood magazine and I picked this recipe from the magazine. I really liked most of the recipes featured – an arbi and methi stuffed cornmeal parantha, a lightly spiced cauliflower stem dry curry, a pulao and this easy peasy dessert. Why I chose this dessert I needn’t say. It was the easiest and quickest, it was last minute and I had no time. I did not really think much of it. I thought it would be ok. I was wrong. It tastes great. It really does. Himachal Pradesh lies in the western Himalayas and Kangra valley is a part of Himachal Pradesh. The Kangra cuisine uses yogurt, fresh spices and herbs and very little of aromatics likes onions and garlic. Their Khatta (sour gravies) and Madra (yogurt based chickpea curry) are popular but I am really keen on trying the arbi-methi cornmeal parantha. It sounds exotic and delicious and definitely worth a try. These Dabbroos are perfect as Neivedhyam for poojas instead of the regular Kesari. These are just as quick and are really tasty too. They can make lovely sweet appetizers too if they’re made small. I’ll be making them again soon. Remember to make the pancakes real fine and thin. They taste best when they’re made thin. 1. Mix together wheat flour and sugar in a bowl. 2. Pour in milk and water and whisk to make a lump free pancake batter. You may adjust the proportion of milk and water slightly as per your liking. Let sit for 1 hour. I left it overnight in the fridge. 3. Heat a well seasoned dosa tawa or a non-stick tawa and ladle about a ¼ cup of the batter on the tawa and very quickly spread it out into a circle using the back of the ladle. Make it as thin as possible. Drizzle a teaspoon of ghee all around the edges of the pancake and cook till the underside turns golden brown. Gently flip over and cook the other side for about a minute. Remove from the tawa. Repeat with the remaining batter to make more pancakes. This entry was posted in Desserts, Tiffin / Breakfast and tagged appetizer, Blogging Marathon, breakfast, dabbroo, dessert, himachal pradesh cuisine, himachal pradesh food, recipe, sweet wheat pancakes, wheat flour pancakes, wheat pancakes. 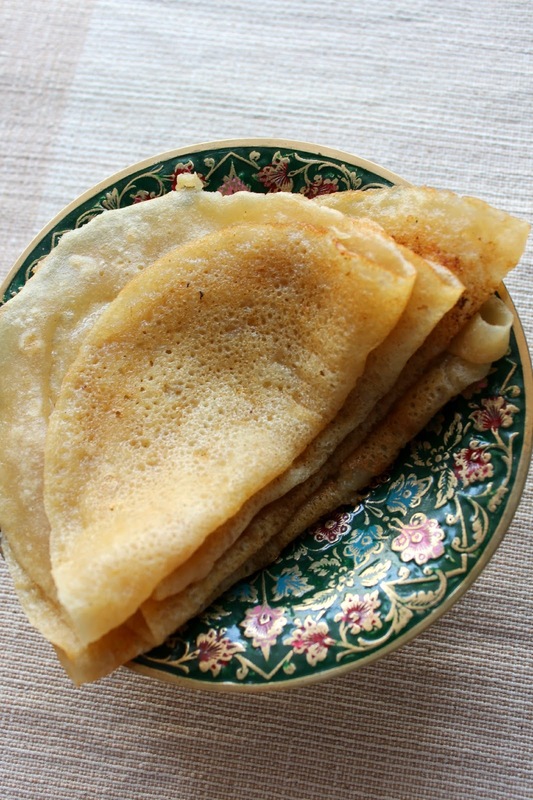 Very delicious sweet pancakes, i can have few anytime..
delicious and sweet pancakes.. perfect for breakfast..
My mom used to prepare a dosa which is similar to this except for the addition of milk. I call it inipu (sweet) dosa. Didn't had that for a long time. Seeing your pictures tempt me to have one. And that green plate looks beautiful. I simply loved that design and the color combination. Love these sweet pancakes..just like pumas and the addition of milk makes it rich ..beautiful recipe. Sweet pancakes look delicious. Perfectly made pancakes. Such a nice recipe! We make chapatti with the same ingredients. Sounds yumm. 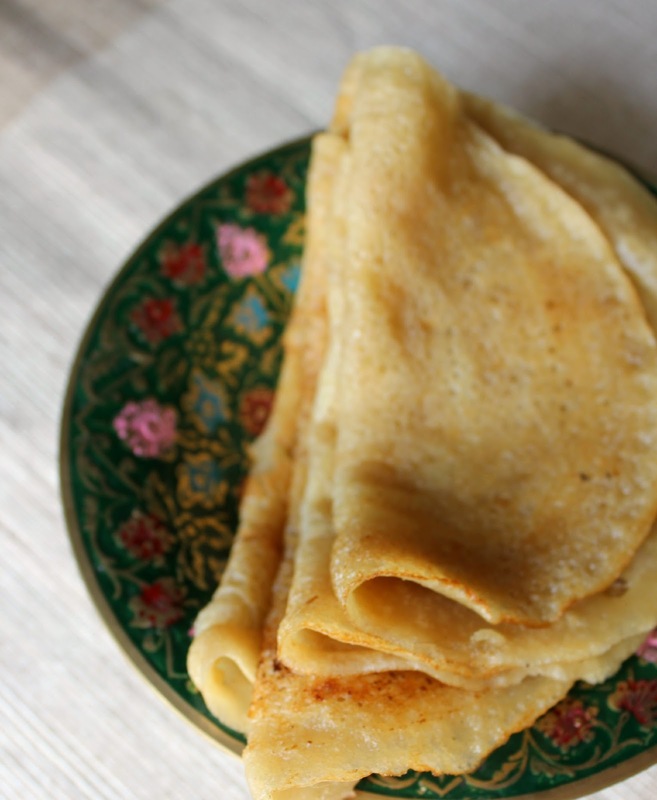 I am sure my little one will loves those sweet crepes! Dabbroos look and sound delicious. Perfect breakfast. Love these sweet pancakes. Reminds me of the south Indian jaggery version dosas. very veyr tempting stacked dabbroos here 🙂 those sweet pancakes are making me hungry now !! Thanks Sankalp for the information. I picked up the recipe and the name from an edition of “Goodfood” magazine. I regret any errors.